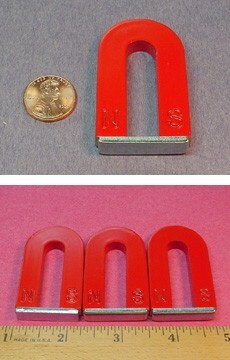 This horseshoe magnet has straight legs that have the poles marked with an "N" and "S". Made from traditional Alnico "metal" magnet material. Comes complete with a keeper for storage. 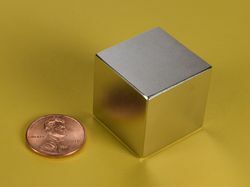 See our blog article on Horseshoe Magnets for more info!